FEA-TC offers Product Data Management training courses to support all our users at every level. Learn the skills and concepts to the successful use of SOLIDWORKS PDM. FEA’s PDM implementation support is centered around a best-practices configured core vault that allows users to quickly become up and running with an easy-to-learn interface that provides secure vaulting, version and revision control, release process, and search capabilities. 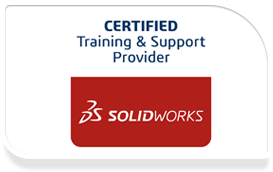 The focus of this course is on the fundamental skills and concepts central to the successful use of SOLIDWORKS PDM. The intended audience for this course is anyone who will manage files with SOLIDWORKS PDM. The focus of this course is on the fundamental skills and concepts needed to begin using the API to develop applications that can interact with SOLIDWORKS Enterprise PDM.